With the legalization of marijuana in Colorado, there has also been an increase in the entrepreneurial spirits who are capitalizing on the associated tourism industry. While “weed tourism” is not seen as a huge boon to Colorado tourism, it is definitely a niche market. One in four Millennials—18% of the men but only 8% of the women—has vacationed in one of the four states (Alaska, Colorado, Oregon, and Washington) specifically “due to the legalization of recreational marijuana.” – from a study conducted by marketing giant MMGY Global. If you come to Colorado for skiing and maybe a little Rocky Mountain high, the Colorado Pot Guide is a great source of information, including “pot-friendly lodgings.” There are 420 of them. Denver-based MaryJane Group is one of them. They run three Bed & Breakfast establishments, with a slight twist. Their Bud+Breakfast™ lodges offer what you’d expect in a B&B – luxury accommodations, gourmet food, and attentive staff – but in a cannabis-friendly environment. One of their Bud+Breakfast™ lodges is in the charming mountain town of Silverthorne, and close to several world-class ski areas. They offer top-shelf samples for their guests to try, and for those new to cannabis, they will share their knowledge about the different strains, benefits, as well as responsible use. Travel High Colorado, offers custom “highcation” itineraries in the mountain towns of Aspen, Vail, and Breckenridge. Custom packages include cannabis-friendly lodging, lift tickets, equipment rentals, and other snow-related activities (e.g., sleigh rides). For those who prefer to get your rush a different way, heli-skiing is sure to get your adrenaline flowing. 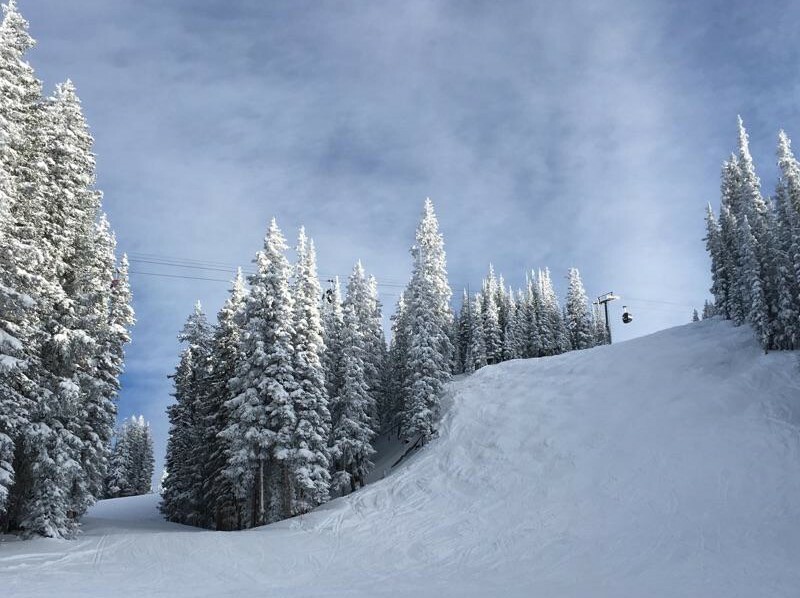 Colorado has two heli-skiing locations: Telluride and Silverton Mountain (which gets an average snowfall of 400 inches and has a max vertical drop of 3100 feet). 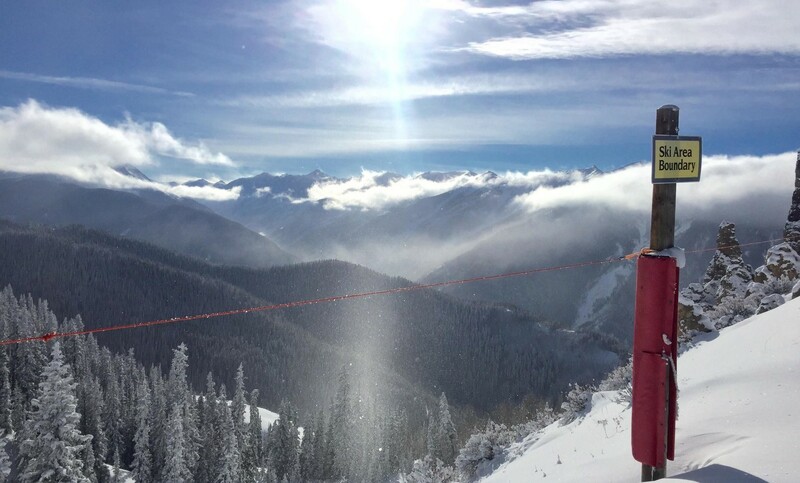 Silverton Heli, operating on Silverton Mountain, is the only heli-operator in the lower 48 that offers a single drop package in addition to multi-drop packages – perfect for those who are trying heli-skiing out for the first time. No matter what type of ski vacation you want, Wireless Traveler can help you stay connected – perfect for tourists who are visiting from outside the U.S. Our WiFi communication products, include the high-speed Pocket WiFi Hotspot with up to 5 GB for $79/week plus shipping for use in the USA and low-cost Wireless Traveler WiFi Calling App. Our global satellite phone is particularly valuable if you plan to do any remote skiing. As long as you can see the sky, you can make and receive calls and text messages. Small and lightweight, you can slip one in your backpack or coat pocket. If you are visiting from outside of the USA, just order your Pocket WiFi or Satellite ahead of time and it will be waiting for you at the hotel. When you check-out, simply ask the concierge to return it to us at our NY warehouse.